SAP Controlling has regular planning Methods which can help you to do the business process well.Automatic planning consists of the functions for the mass processing of planning data. n The following automatic planning functions are available: Copy, Forecast, Top-down distribution, Change, and Delete. 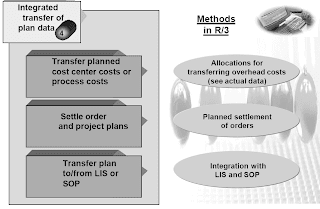 The process begins with the planning of target values, such as at the "material group level". Average prices and cost of goods manufactured can be determined at this stage.In the next planning phase, plan data is distributed top-down. 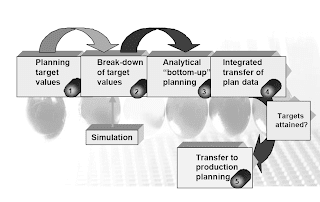 Plan data for material groups, for example, is broken down to combinations of customer groups and products.In bottom-up planning, plan data can be entered manually for each sales representative and then brought together in a single plan version.In the fourth planning step, additional plan data can be transferred to sales and profit planning from other business areas, such as cost center accounting or incoming orders.Once planning has been finalized, the plan data can then be transferred over to production planning, thereby allowing production plan data to be reconciled with sales planning. At the start of the first planning phase (in which you plan target values), you define average prices and the cost of goods manufactured. Ratios were introduced to simplify planning prices manually. With the Goal Seek function you can enter a target revenue, for example, and have the system calculate the planned price necessary to attain it. A ratio is a quotient involving two value fields, such as price = sales / quantity, and it can be used as a basis for simulating corresponding adjustments and alterations of quantities and prices in the planning layout.You define ratios centrally in Customizing. They can be selected like normal value fields when you define the planning layout.Ratios or prices are not saved to the database. Instead, they are calculated dynamically from the quantities and values at each planning level. This avoids the build-up of redundant data and ensures a consistent dataset. You can perform data simulations in planning using the function ’Goal seek'. This function allows you to enter a target contribution margin, for example, in manual planning and to have the system calculate the corresponding quantity sold.To use the goal seek function, both sizes must be mathematically related, either in a formula or ratio. To perform this function, first select the two data cells desired and then choose ‘Edit -> Goal seek'. In the dialog box that appears, enter the target value, such as a contribution margin of 120,000 USD, and the system then calculates the appropriate quantity (6000 items). You can use an extensive top-down-distribution function is available in both manual and automatic planning for the second planning phase, which involves the top-down distribution of target values to a detailed planning level. all value fields:data of each value field is distributed according to the relative reference data per profitability segment for the same value field. Top-down distribution enables you to distribute data from a higher planning level to levels situated beneath it. For example, you can perform planning first of all at product group le vel and then distribute the values to product level.The plan data is distributed in the same way as reference data already present. For this distribution, you can use either plan data or actual data. You can distribute the data separately by period, or you can aggregate the values over several periods to level out fluctuations. 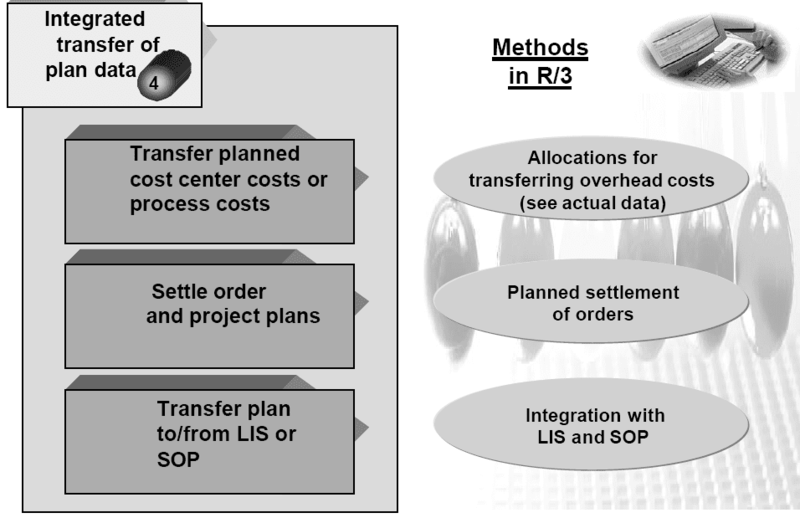 The third planning phase in which plan values are planned bottom-up and merged could occur in several steps. 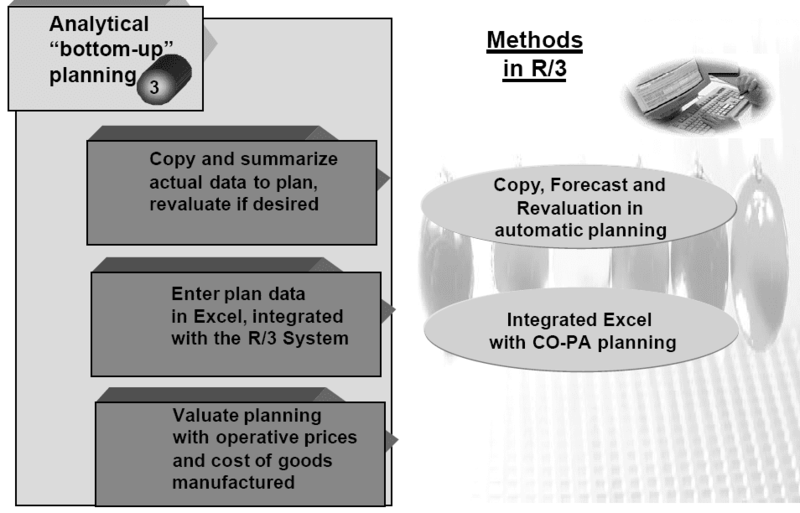 For example, default plan values could be created automatically (copied, revaluated, and so on) and then used as a plan basis for the individual sales representatives.Integrated Microsoft Excel allows individual sales representatives to create their sales plan data locally.Finally, the individual plans can be merged into a single version and valuated with operative prices and costs of goods manufactured. These functions can be used to process a large number of profitability segments for planning at once. They can be executed either online or in the background. It is necessary to have the proper authorizations before working with automatic planning.When using these functions, the characteristics and value fields that are to be affected need to be specified. That makes it possible to manipulate individual pieces of a plan version as desired. For each of the automatic planning functions, it is possible to create, use, display, and delete selection variants using the menu functions under Goto > Variants. A variant is a combination of selection parameters and processing rules. All the parameters entered on the initial screen and subsequent screens can be saved as a variant, and these settings can be saved as fixed or modifiable. This function is used to keep track of the automatic planning functions that have been carried out. It provides a complete audit trail for any mass changes to planning data. The log details when any functions were carried out, who carried them out, and what profitability segments were changed.